Pakistani movie Jackpot has released its second song, called ‘Hay Naya Naya’. The song showcases the sizzling chemistry of the very handsome Inayat Khan and the gorgeous Reyhna Malhotra. 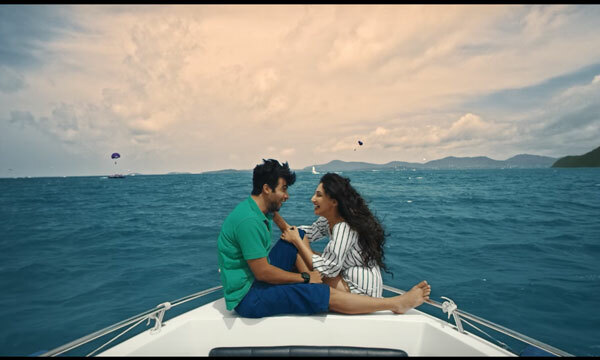 The song is melodic and soothes the soulThe singers of this song are Asim Azhar and Afshan Fawad, while it is shot on the beautiful Coral Island in Thailand. Noor Hassan and Sanam Chaudhry will be sharing the screen as lead actors of upcoming Pakistani musical-comedy movie Jackpot. “My character is an extremely hilarious guy, and the film on a whole is a lot of fun. It has all the elements that make up for an entertaining watch and I’m sure the audience will appreciate it” Noor Hassan told media in a recent interview. Jackpot is directed by Shoaib Khan, produced by Khurram Riaz & Shoaib Khan, written and screenplay by Babar Kashmiri. The movie stars Jawed Sheikh, Noor Hassan, Sanam Chaudhry, Inayat Khan, Reyhana Malhotra, Sana Fukher, Adnan Shah Tipu, Faiza Khan, Ismail Tara & Sajan Abbas. Previous articleMahira Khan & Sheheryar Munawar to Star in New Pakistani Movie? Next articlePakistani Movie ‘Teefa in Trouble’ Hits The Floors!